-- Select a Size/Color -- Small Medium/Large - Out of Stock! 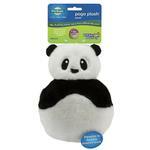 The Busy Buddy Pogo Plush Panda Dog Toy by PetSafe is sure to bring hours of fun! Pogo Plush toys are simply irresistible! 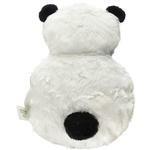 The patent-pending design provides a unique bounce-back action that dogs prefer over traditional stuffed plush toys. These toys are stuffing free, so there's no mess if your dog likes to destroy plush toys! Our Pogo Plush toys are built with inner bouncy frames that have a satisfying give to them and free-floating squeakers that will give your dog hours of fun. *Supervise your pet during initial play, and inspect toy regularly. 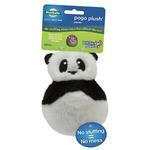 Busy Buddy Pogo Plush Dog Toy - Panda Customer Photos - Send us your photo! my dog, who is an extreme chewer, was able to get squeaker out within 24 hours. It took him longer than the average toys but not as long as I was expecting. He still enjoyed shredding it so I gave it a 3! Posted On 04/01/17 by Heidi R from , IN Yes, Heidi R recommends this product! I finally introduced our one year old pup to this toy. It was a bit bigger and thicker than I expected when I originally purchased it for him, and needed to wait to give it to him. It's a durable toy but also a bit on the fuzzy side like Zippy Paws brand dog toys. I know it would have stood up to my Shih Tzu pup's chewing habits, but did not last for a pup who enjoys pulling fur out of fuzzy toys. 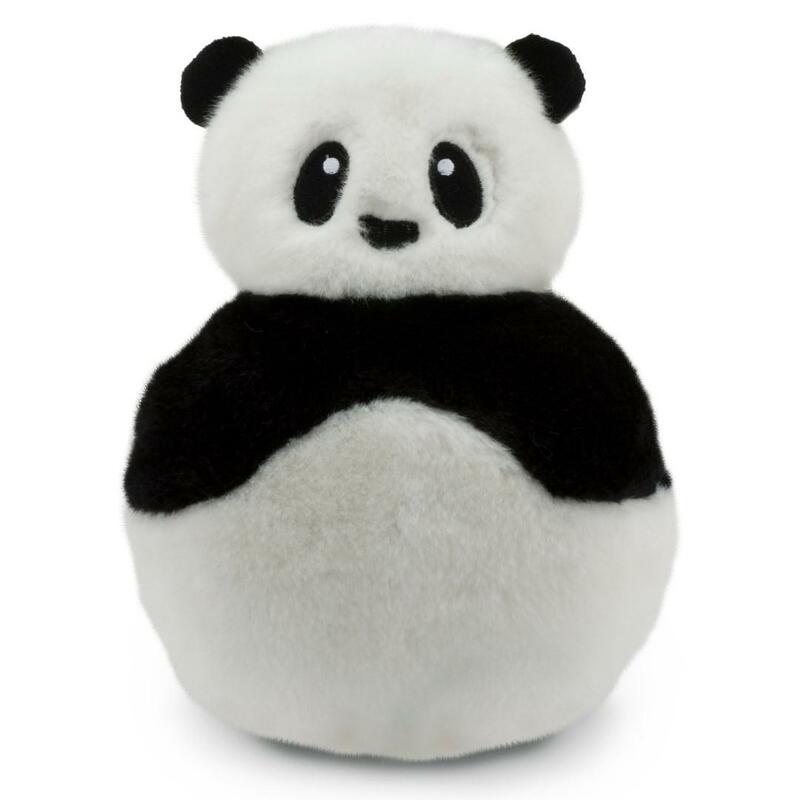 Buying the panda toy taught me a valuable lesson to not purchase any more toys that are very fuzzy. I'd only recommend it to owners who have dogs that do not pull out the fur from their toys. Posted On 05/31/15 by Pamela N from Hatfiekd, PA Yes, Pamela N recommends this product! Perfect size for playing catch in the house. We toss the Panda and Myrah fetches it! Great size also as our dog Myrah brings us a toy whenever we walk in the door. Myrah also loves the squeaky sound. Baxterboo is the only company from which I purchase clothes. Baxterboo is the best!